The Sony Alpha 9 is the company’s first camera aimed at professional wedding, action and sports photographers. It’s a 24MP, full-frame mirrorless camera that can shoot at 20 frames per second with full autofocus. And, just as importantly, with very low viewfinder lag and absolutely no blackout during continuous shooting. That’s right, a mirrorless camera targeted at wedding, action and sports photographers – a strike at the DSLR’s area of greatest strength. It’s true that Olympus has pushed in this direction with its E-M1 Mark II, but Sony is promising both super-fast readout and full-frame image quality, backed up with an expansion of its Pro Support scheme that will be needed to break into the pro market. This is ambitious stuff. Of particular note for wedding and event photographers are the a9’s speed and silent shooting, both of which are certain to have a positive impact on capturing just the right moment without any interruption from the clacking of a conventional shutter. All this capability stems from a stacked CMOS image sensor, which includes processing circuitry nearer the pixels and features built-in memory to deliver all this data to the off-board processors at a rate they can cope with. It’s this structure that enables the camera to shoot at 20 frames per second and do so with an electronic shutter that’s fast enough to minimize the rolling shutter effect. The fast readout also allows 60 AF/AE calculations per second, promising better subject tracking and prediction. The stacked CMOS design not only allows the super-fast readout that powers so much of the camera’s attention-grabbing spec, it also means it has all the benefits of BSI design. This means that the light-sensitive section of each pixel is closer to the surface of the sensor which, in turn, means the sensor is better at collecting light near the corners, where the incident angle will be high. It also generally means improved low light performance, and sharper pixel-level imagery. Sony’s crammed the a9 with seriously speedy technology and is aiming it at true sports professionals. Out-of-camera JPEG cropped to taste. 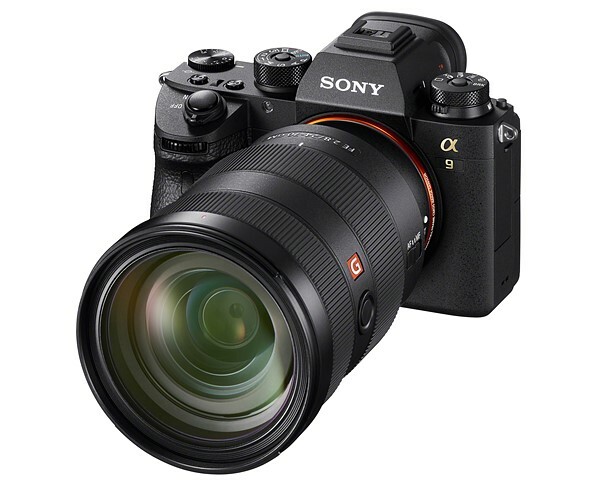 Beyond the technical wonders of the new sensor, there are a large number of significant changes to the a9 relative to Sony’s a7-series that have all been made with demanding professionals in mind; these include updates to menus, controls, image quality, and more. Will all of this be enough to tempt professionals to switch? Let’s dig in and find out.